A must-have for easy dosing! 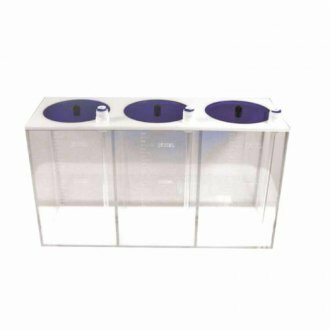 These dosing containers have been specifically designed for use in the balling method of supplementing a marine aquarium with Calcium, Magnesium and Alkalinity with the use of a dosing pump. They are however versatile enough to allow you to dose any liquid product from them in to your aquarium. These dosing containers give a professional look you don't get from just using plastic bottles, they are the must have dosing accessory. No drip when you remove the pipe complete with the lid with suction from dosing pump . 3 x 1.5 litre containers.